Hey there.. I'm trying to crochet a gingham blanket but doubling the size.. This is a pattern for a baby blanket with a finished size of 40X40. I'm trying to double the pattern... It says to chain 78...So I doubled it and chained 156...pattern repeats 11+1... However my gingham is not uniform which I'm assuming had something to do with my starting chain count? This is SC, right? If you make a chain for SC and want 5 stitches, you'd chain 6, because 1 chain is the turning chain and that doesn't count as a stitch. 14x11=154, plus 1 for the pattern, plus 1 for the turning chain is 156. So the number of chains sounds right. I'm seeing 12 stitches (counting 2 white 'legs' as 1 stitch) in the top pic, so I suspect you miscounted on the first row. 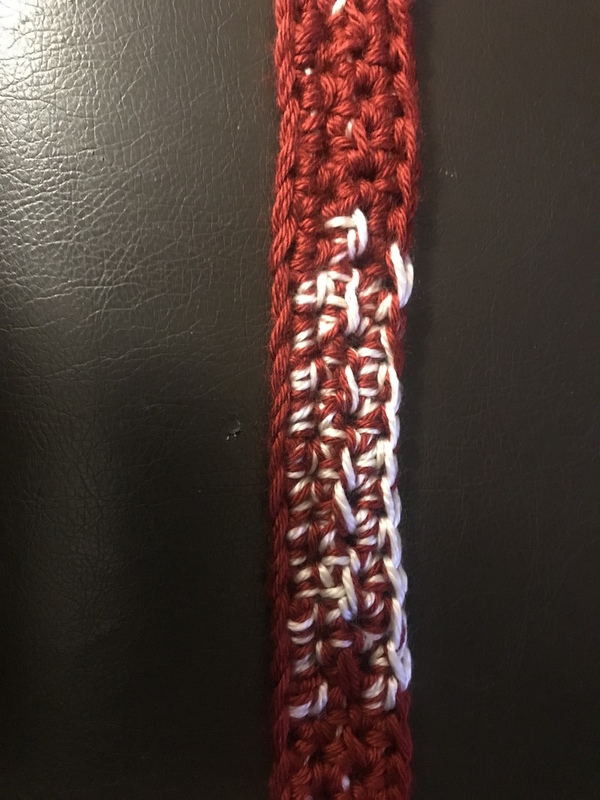 It might be a good idea to use stitch markers on this one to mark the edge stitches (and remember that the marker will be on the first stitch going 1 way, and the last stitch going the other...not sure if that would be confusing. 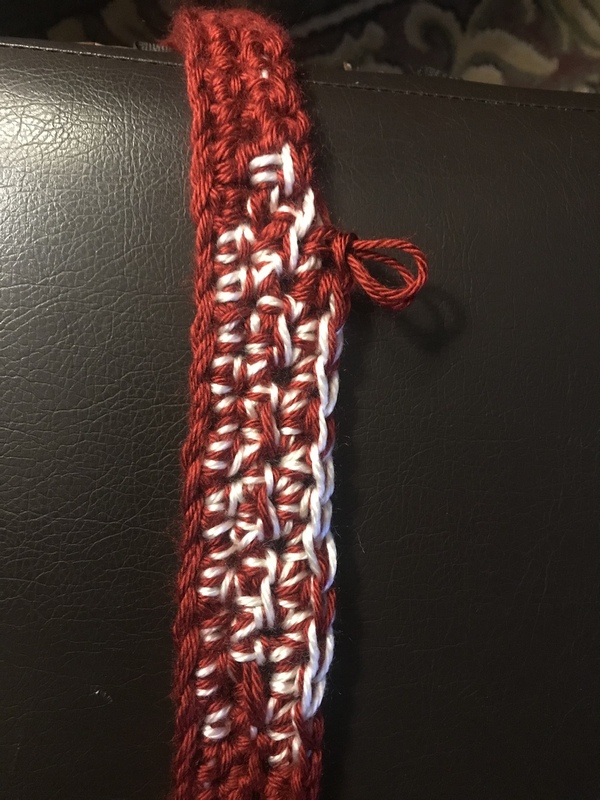 Another 'viller has suggested using length of waste yarn in a contrasting color to sort of baste vertical lines that you move up as you go so you can keep track of the color change spot. Just bringing this up, since it's not something everyone has thought of who has tried to 'double the size' of a blanket - you are going to need 4x the yarn, not 2x.